We shall start our lesson today by staring at the blackboard. Okay, it is not really a blackboard. It's just a wooden background. But this issue don vex me so tay I carry my legs go construct placard wey I go take use illustrate. Let me save you the heartache of reading my poor attempt at pidgin any further. I will continue in English for your sake (You're welcome). What I was saying was that this issue annoyed me to the point that I decided to make two visual aids to demonstrate what exactly I mean. Guess which 'Method' this example illustrates? But wait, I am getting way ahead of myself. Let me back up and start from the top. Please, my dear readers, I ask you: On what planet do you even introduce yourself starting with your last name? I went on a quest to find out if maybe I was the one imagining that this was wrong. It turns out I wasn't. According to the University of Houston Career Services, the proper order to use to introduce yourself is: First name and then Last name. Another source, I found said the same thing: Start with your First name. 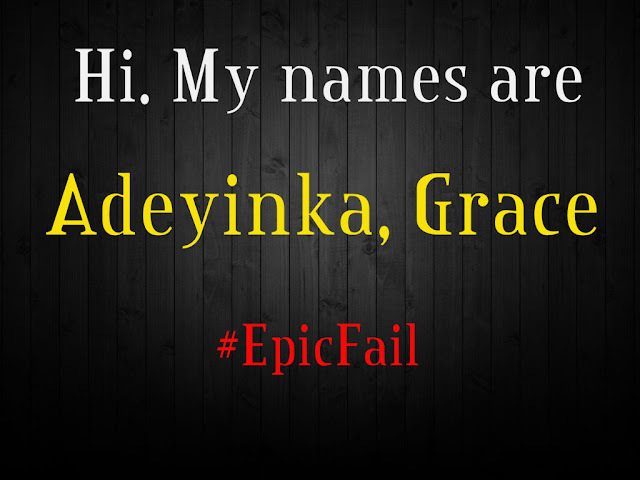 So, Naija people, where did we get this idea that we should start with the Last name, and then First name? I refuse to pull out my hair over this. Instead, I will help point you in the right direction, just in case you wake up tomorrow and claim to have forgotten the key points of today's lesson. I have no further words for you if this is how you have been introducing yourself. Please, change your ways. Thank you. And use this board as a guide. This is the right way to do it. No further remarks. I decided to share this song, Ololufe by Fadehan Adebolu with you. 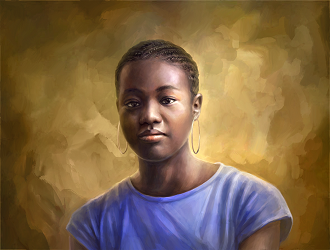 The review and more information on this artiste follows in a separate blog post. Enjoy and have a blessed week ahead! It's good you shared this. My ears always hurts when i hear someone introduce themselves using *my names are*. But sha,I'm guilty at times using my last name before my first. I've learnt something today. Well for me I say "My names is..." Kidding jor. lol. Funny enough I always thought it was right though it didn't sound right using it myself. You should see the confidence with which people use to say the phrase attimes. Hehe, we learn everyday. 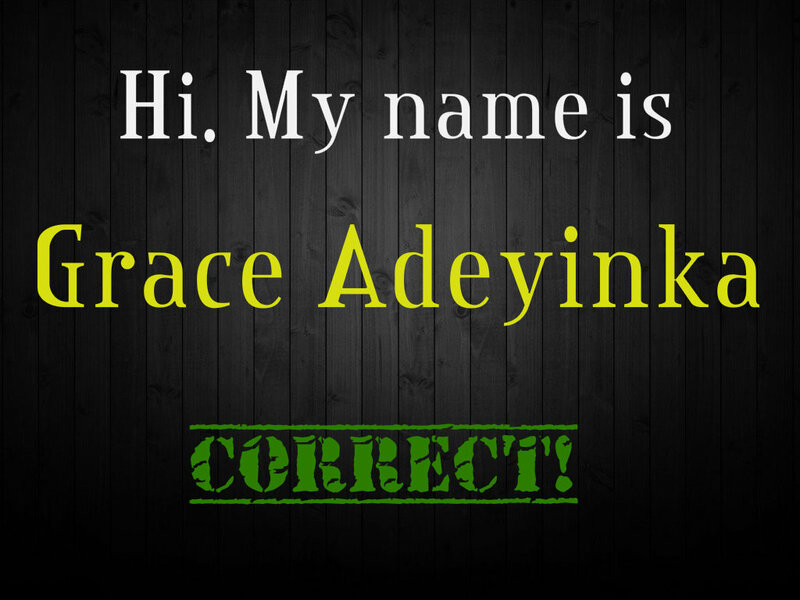 So I always prefer 'my name is Bayo'. I always use my first name jere. Kini gbogbo senrenre. 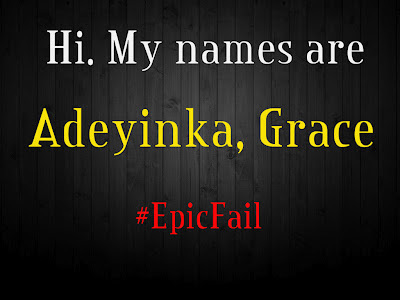 lol... "my names are" na wa o, english no be our mother tongue abeg...lol. thanks for sharing dear and like Micheal said, "we learn everyday! LOL so true! Please is there a way this post can be maded into a formal notice for a lot of Nigerians?! Who even started that "My names are"? Someone really needs to be flogged. Nigerians and the English language, we no go kill ourselves..."my names are" really gives me headache. The way some people mess themselves up with this 'my names are' ehn... and they will be very confident saying it. Lol...didn't even know "my names are..." existed somewhere . This is my first time hearing about it. Maybe i'm not surrounding myself with enough Nigerians. Reading it rings my ears the wrong way, not to talk of hearing someone actually say it. I had always wondered about that, but cos so many people do it i thought it was acceptable... thanks for the education..phew! And even James Bond calls his last name first: "Bond, James Bond"
I'm talking solely on the order of one's name here. It might be a Nigerian thing but we can't totally blame people who introduce themselves by mentioning their surnames (last names) first. If you've filled a lot of forms or perhaps written exams in Nigeria, you would know that in most of these forms you are required to enter your SURNAME FIRST. It's written boldly and sometimes in brackets. Another thing is, unlike the western world where people are referred to on a first name basis, in Nigeria, calling someone by their "Father's name" is the thing. If you were not teased by your father's name in primary school, then you weren't raised in Naija, then you get used to it in secondary or higher institution. Then when you get a job, it's the normal thing to be called Mr. or Mrs. Whatever-your-surname is. Nobody cares about your first name unless it's intimate. I remember finding it hard to call my boss by her first name when she insisted coz I thought I'd be rude. My names are? Reads weird and I'm sure it sounds weird too. warriz going on here? Our comments nko? Toinlicious (and everyone too): Your comments are intact. Every last one of them.